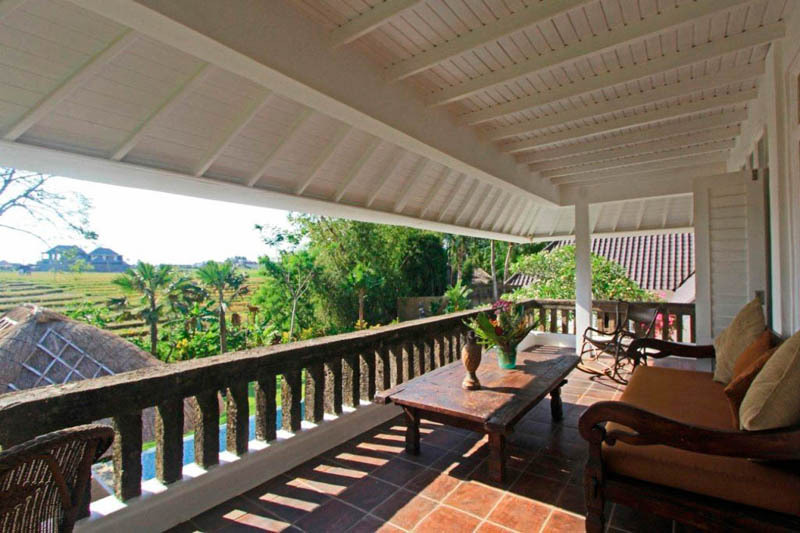 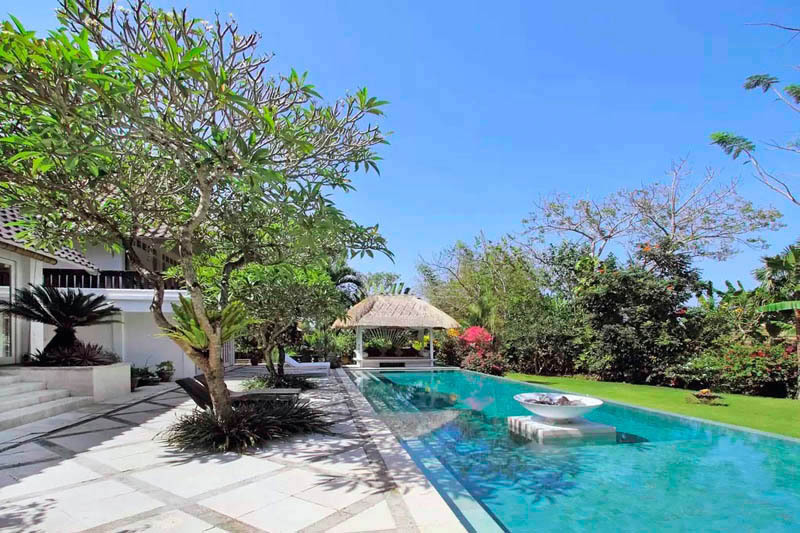 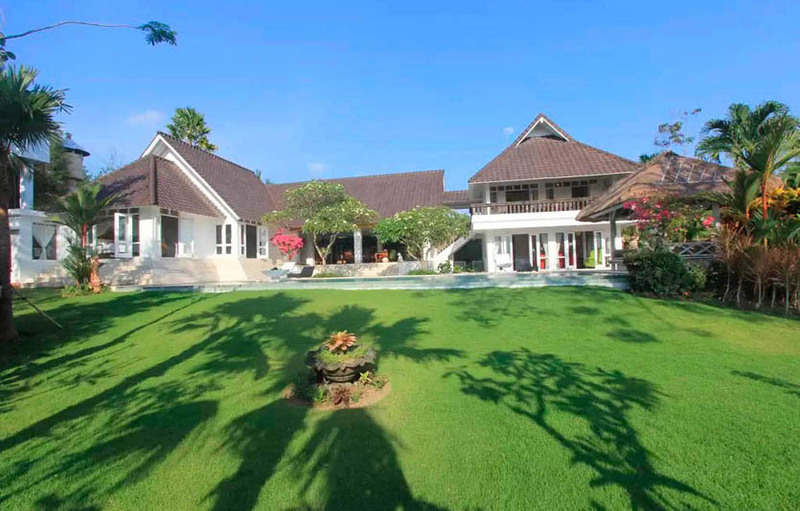 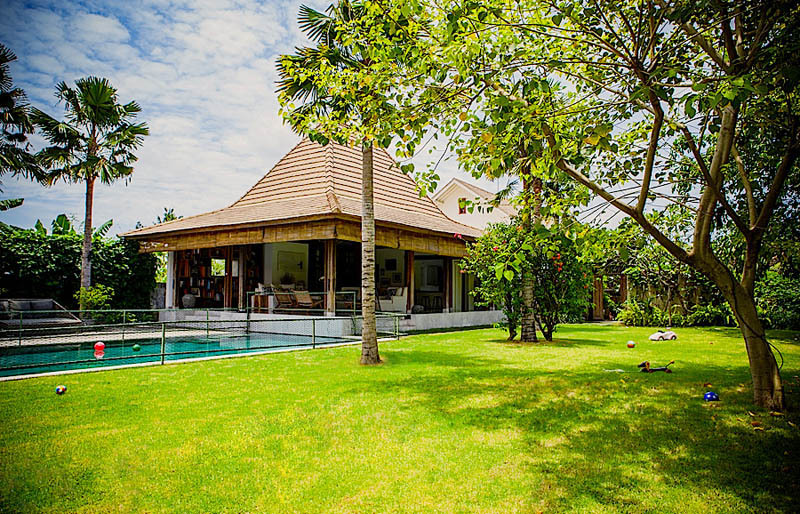 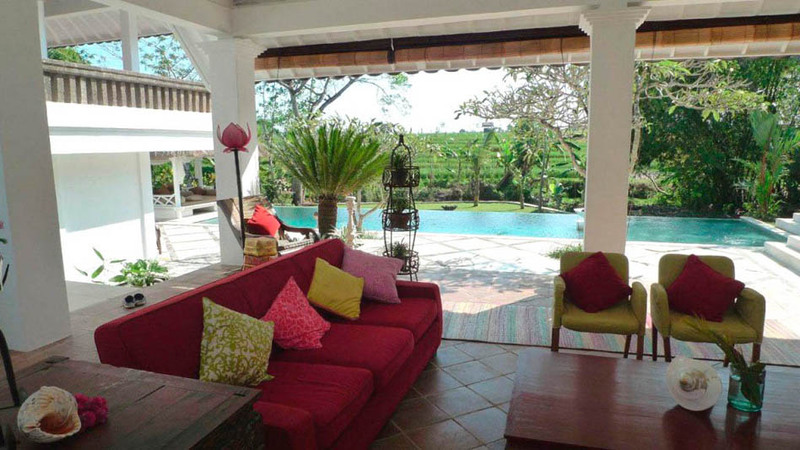 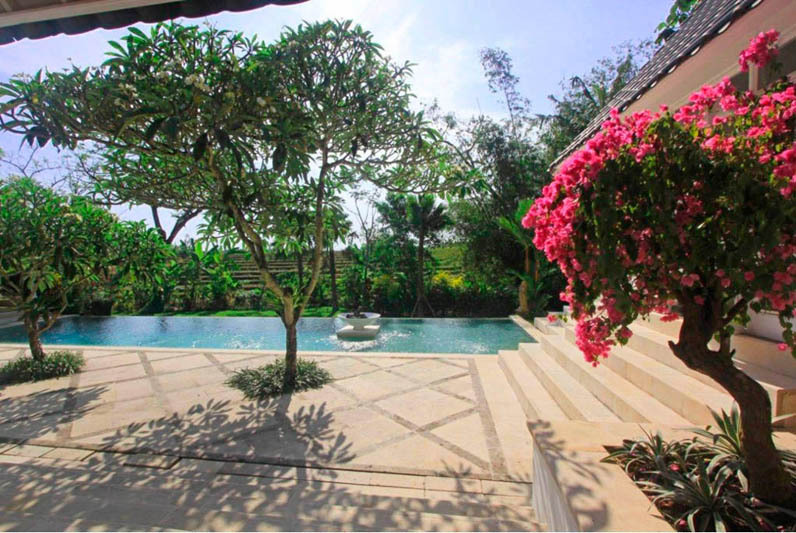 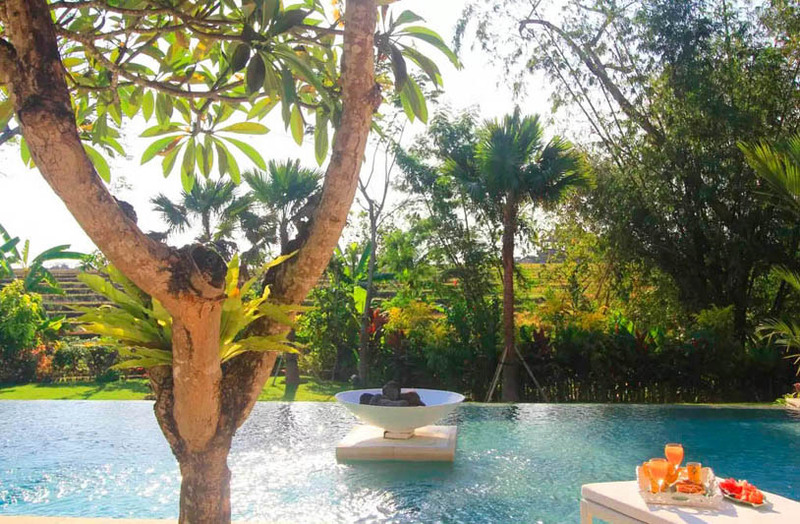 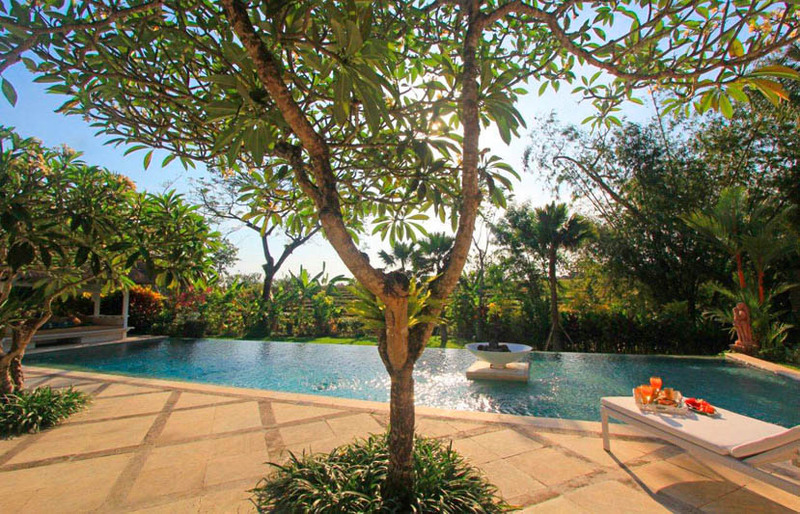 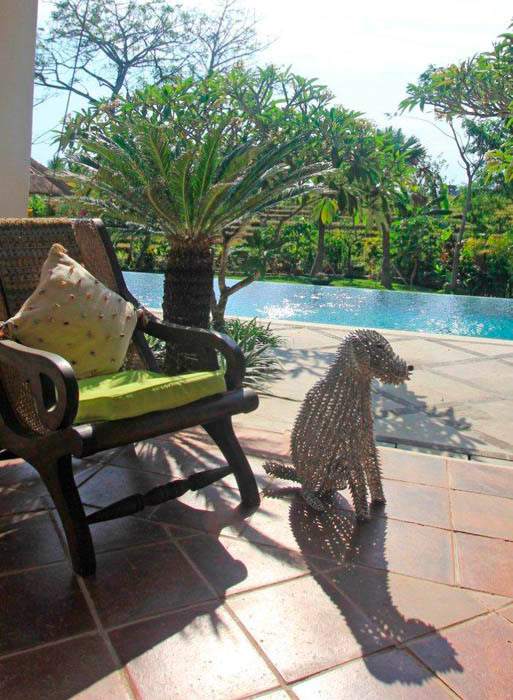 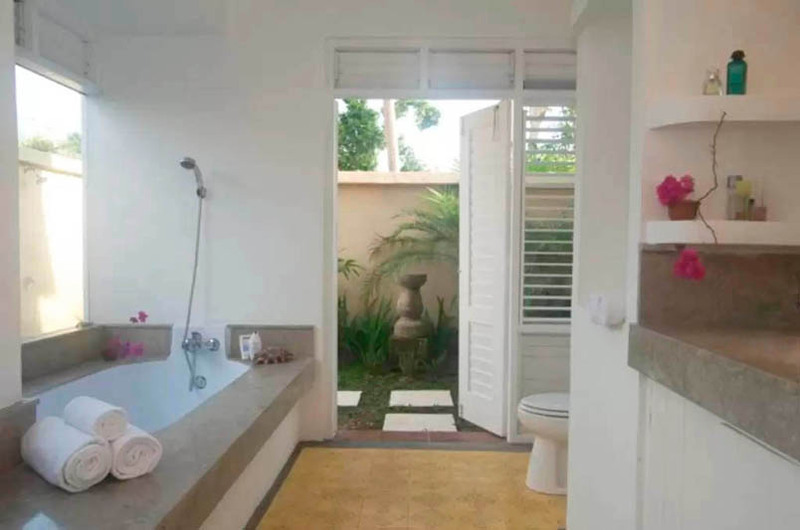 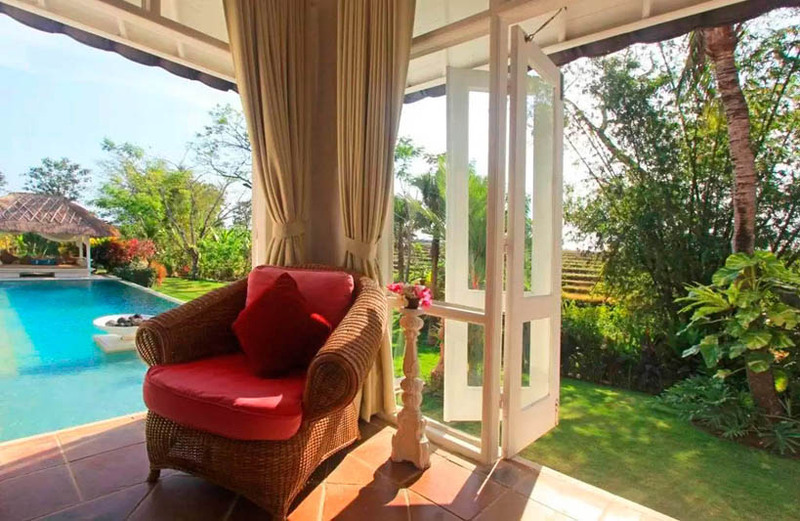 If you want to rent a villa in Bali this one is 10 minutes away from Seminyak and ideally located out of sight you can relax quietly there for a nap in the shade. 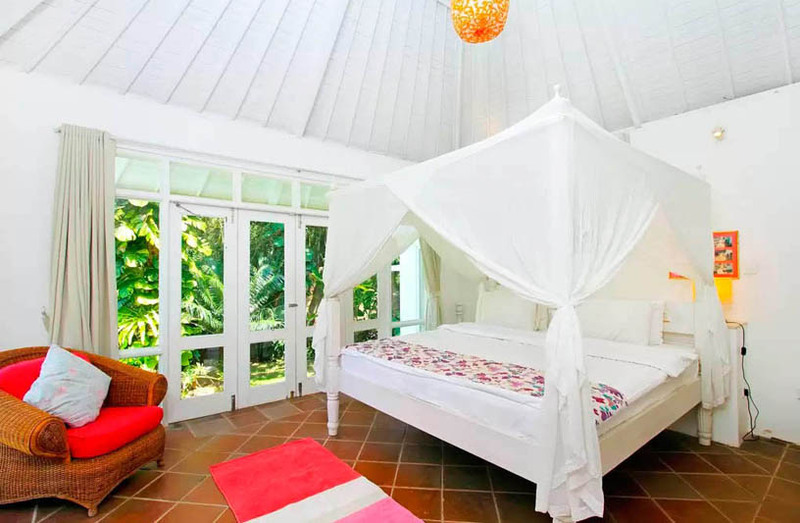 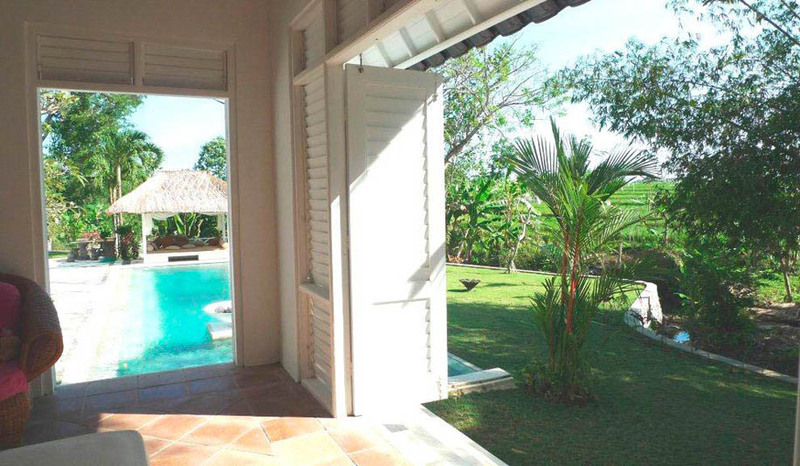 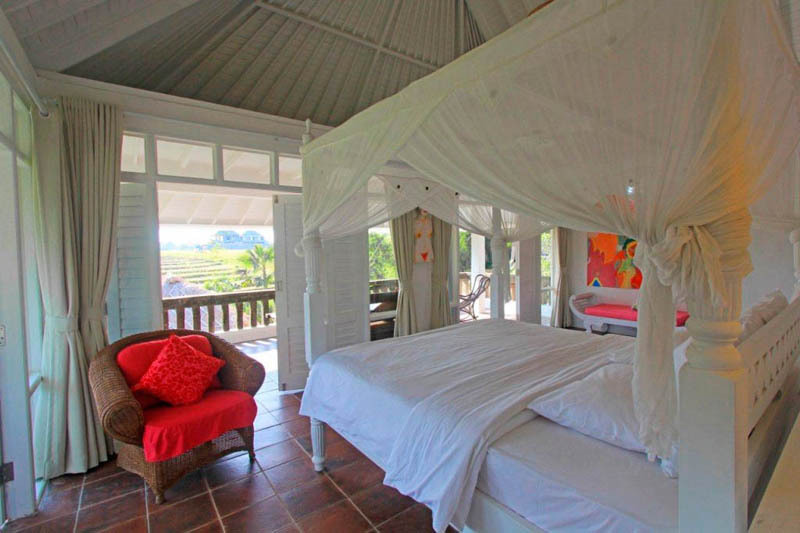 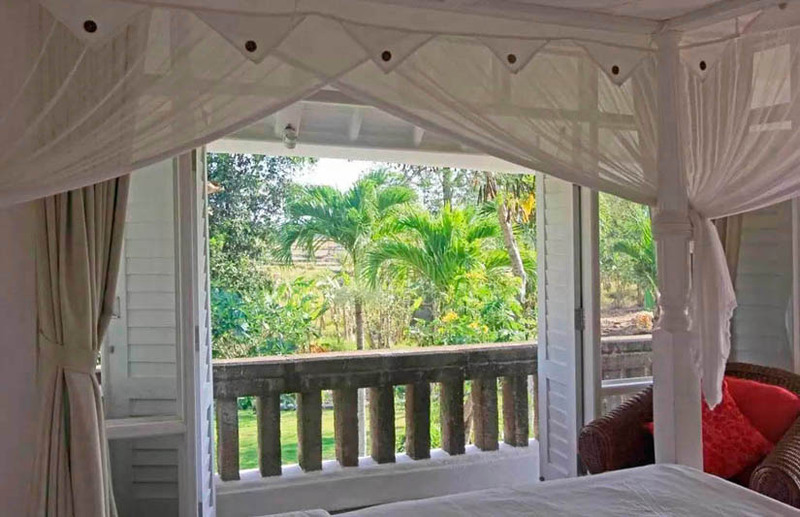 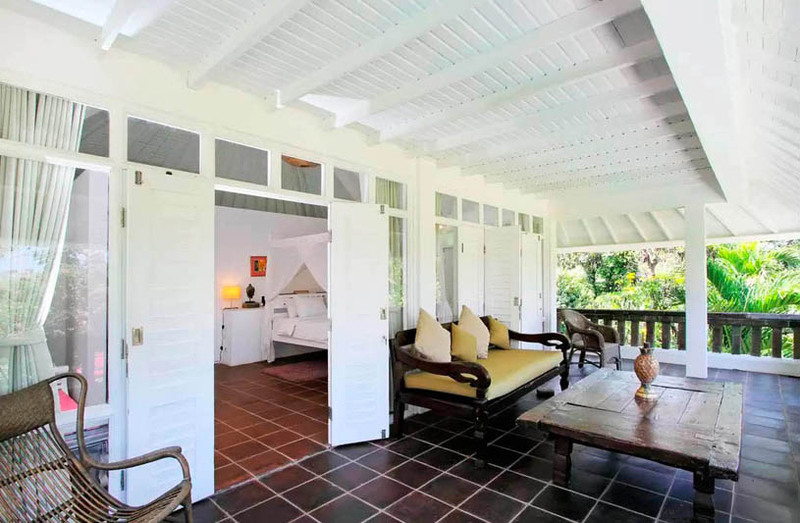 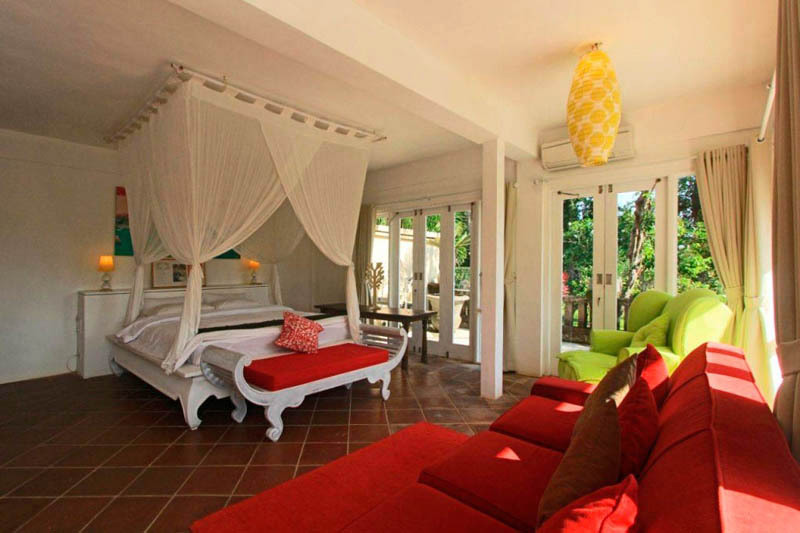 This villa has 4 en-suite bedrooms all with their bathroom with view over the pool and garden. 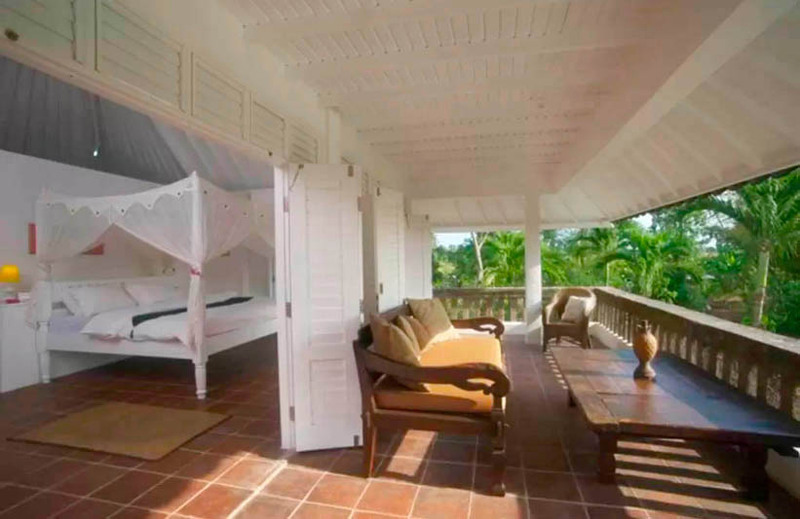 There is a master suite upstairs with dressing. 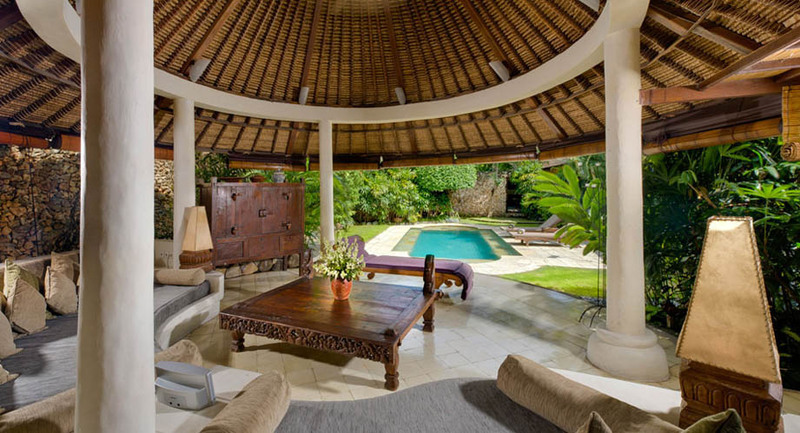 You have to know that if you want to protect your important things, you can benefit from a safe. 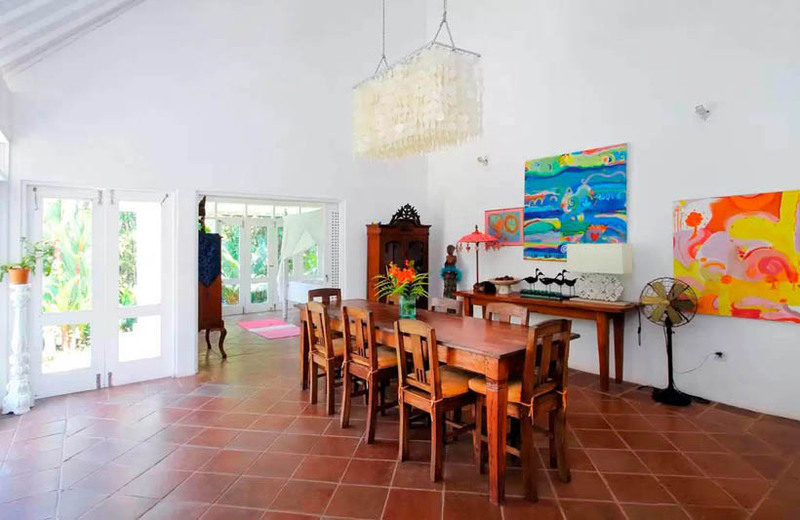 By entering the room, you will see a spacious living space with a dining room. 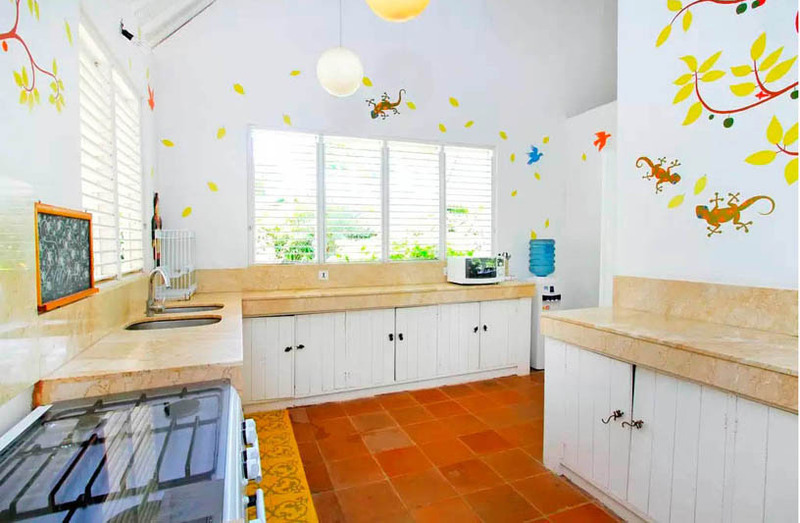 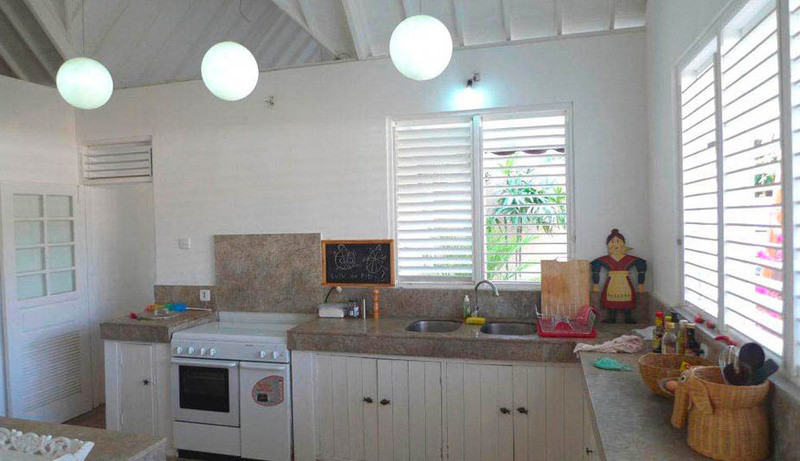 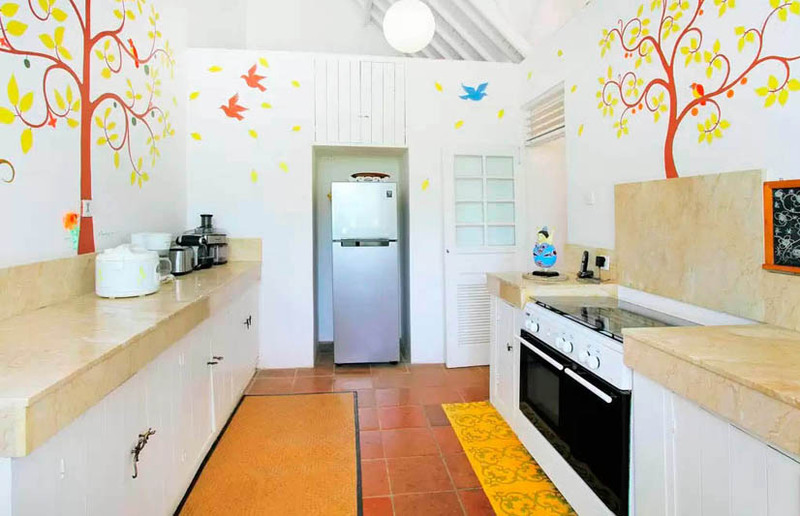 The fully equipped kitchen will delight any people who like cooking and making good food or if you prefer a private chef is available on request. 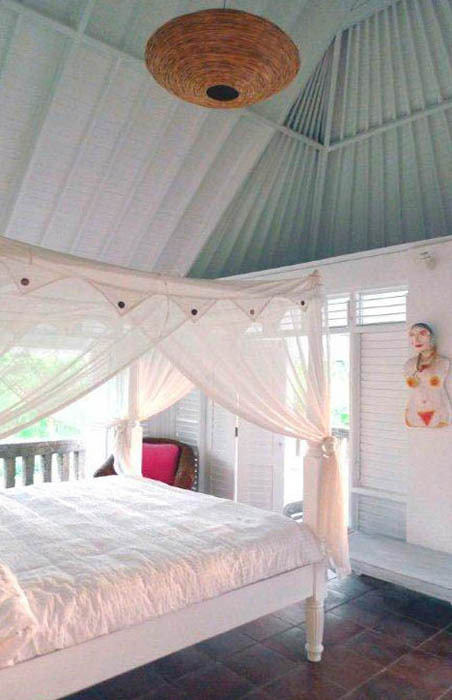 This house also has a fourth parts if you wish to watch DVDS or if you have guests may possibly turn into a guest bedroom. 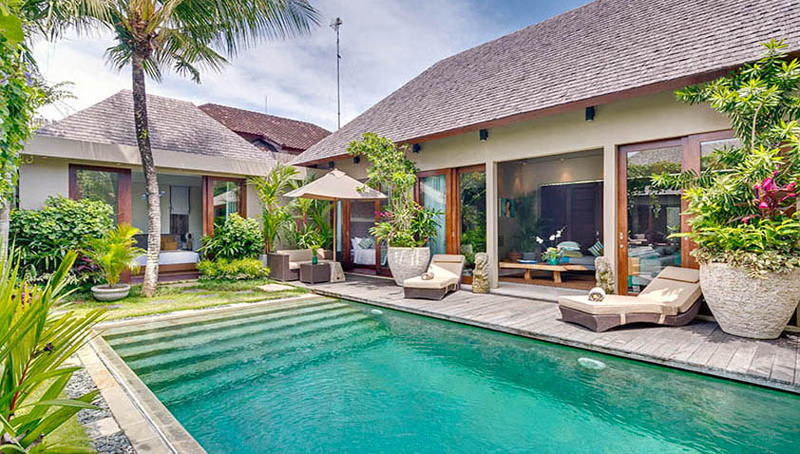 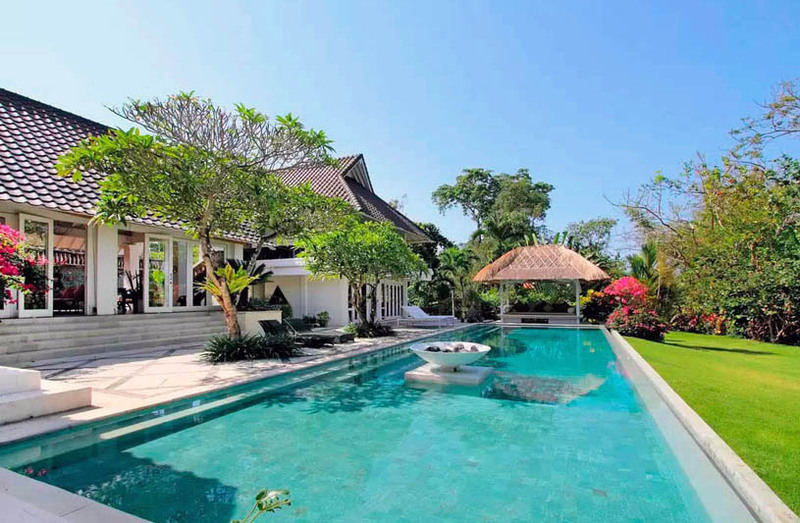 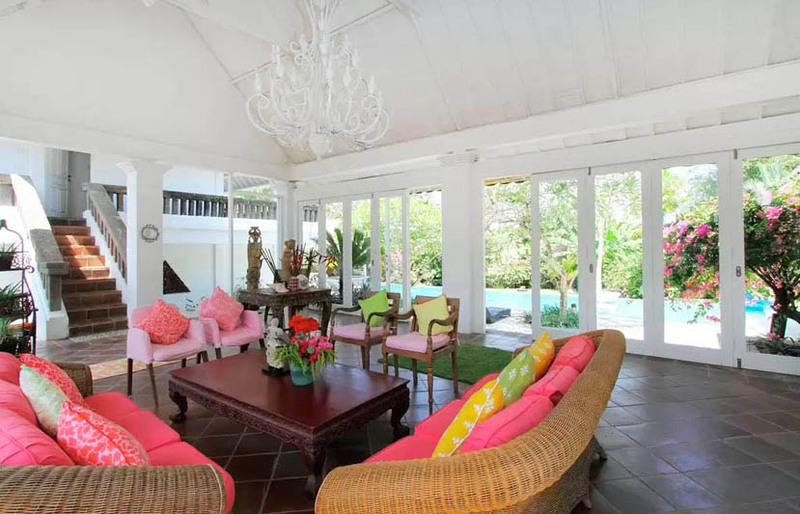 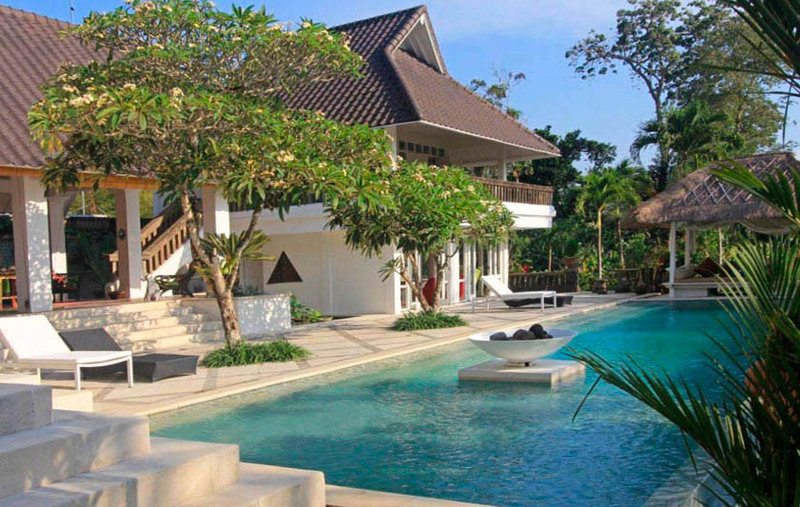 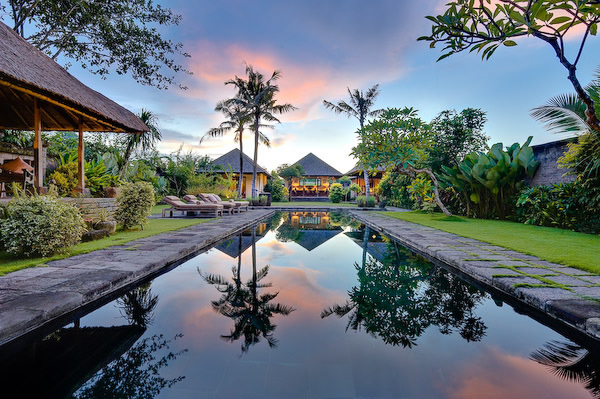 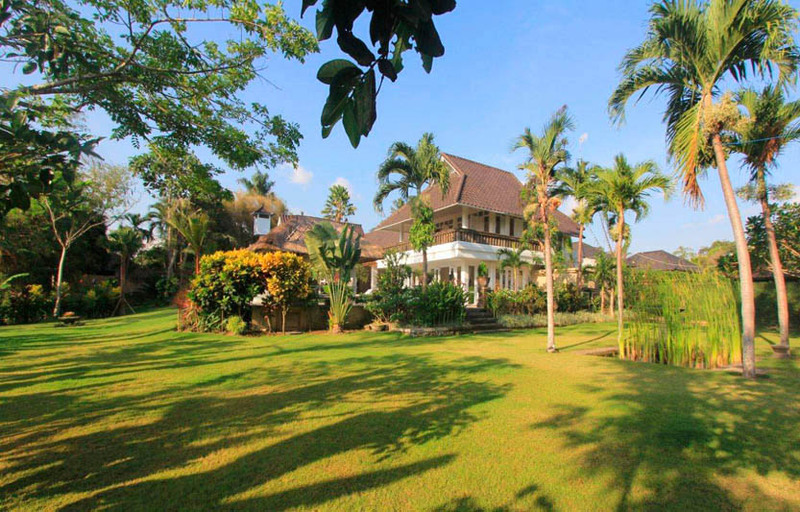 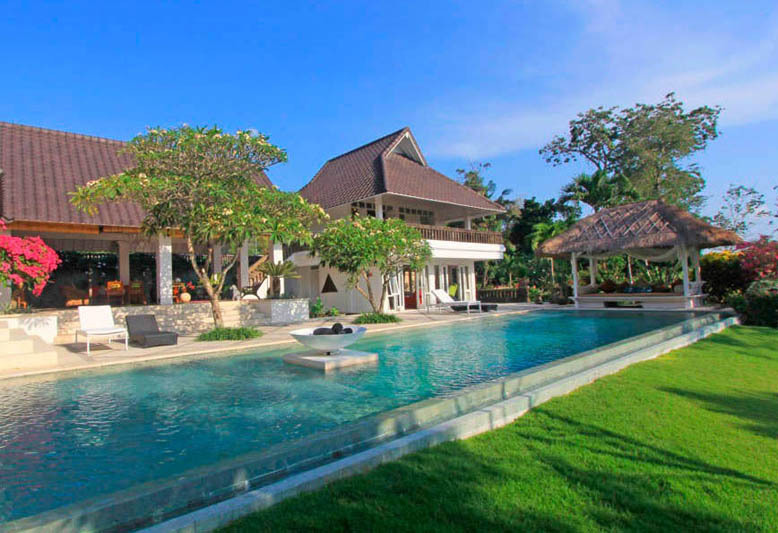 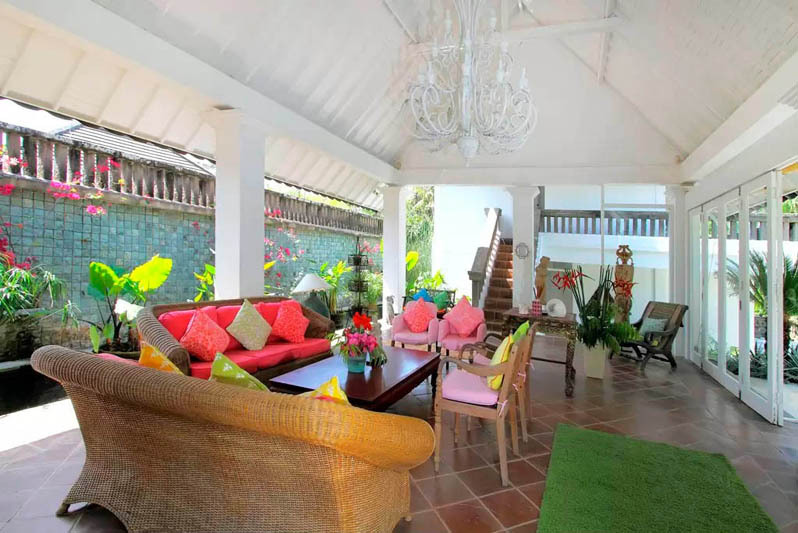 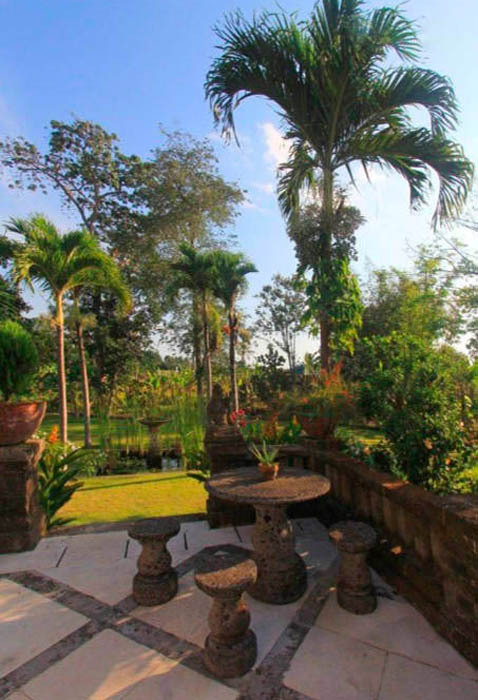 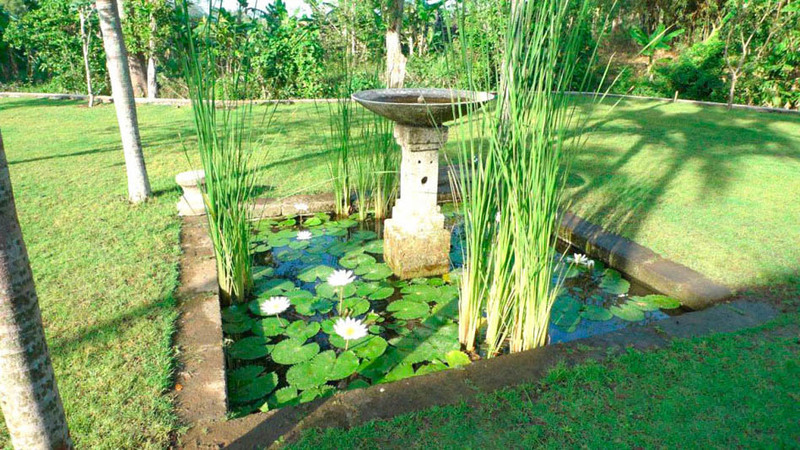 The garden is one of the key elements of this villa because it is spacious and vegetation is abundant, you can even see small fish swimming in artificial ponds. 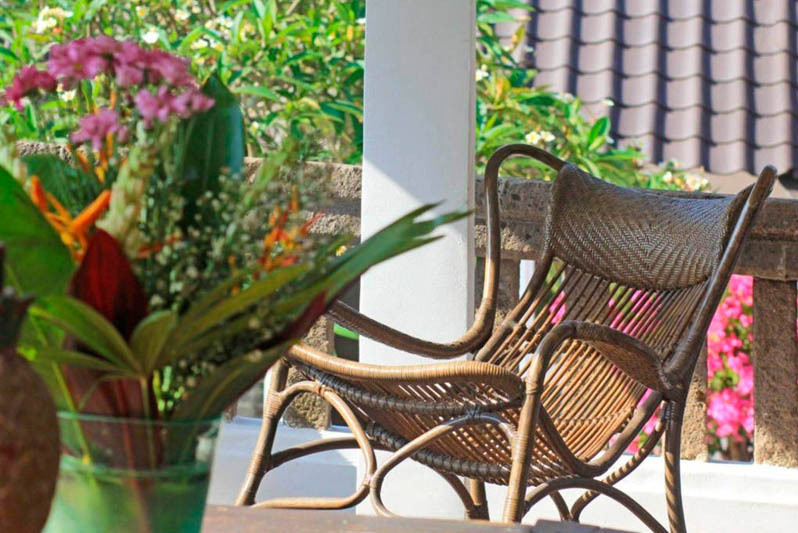 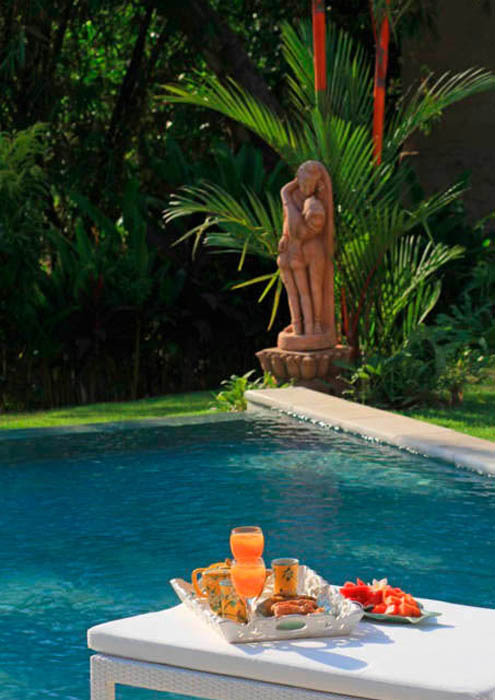 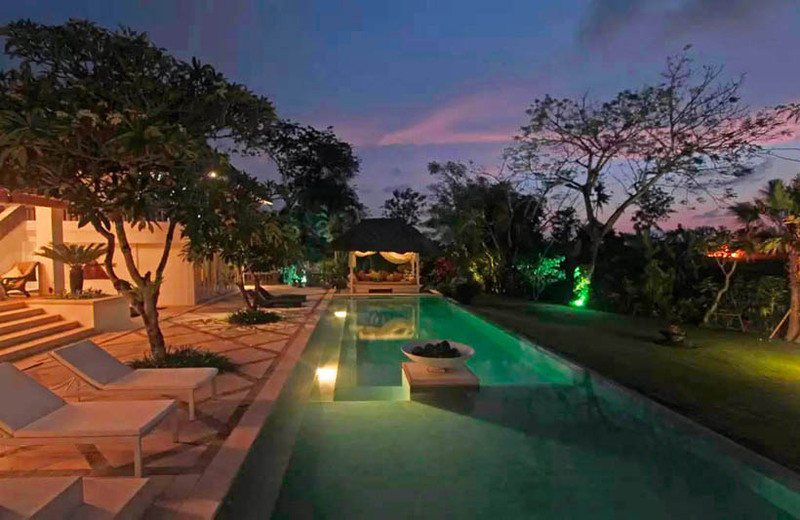 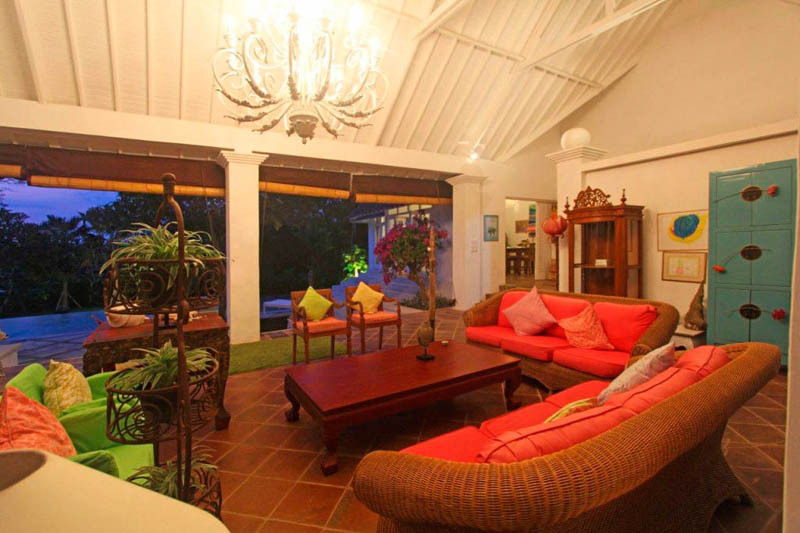 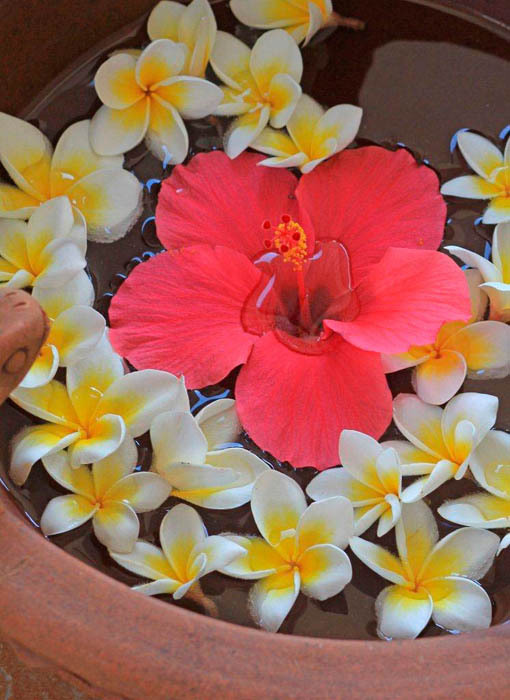 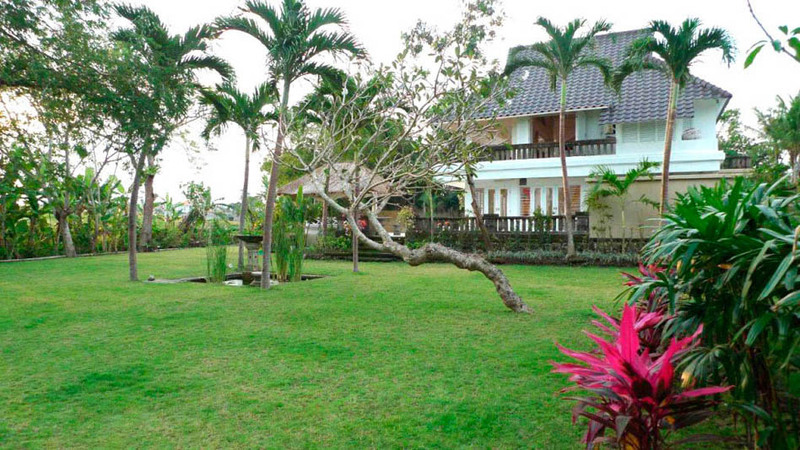 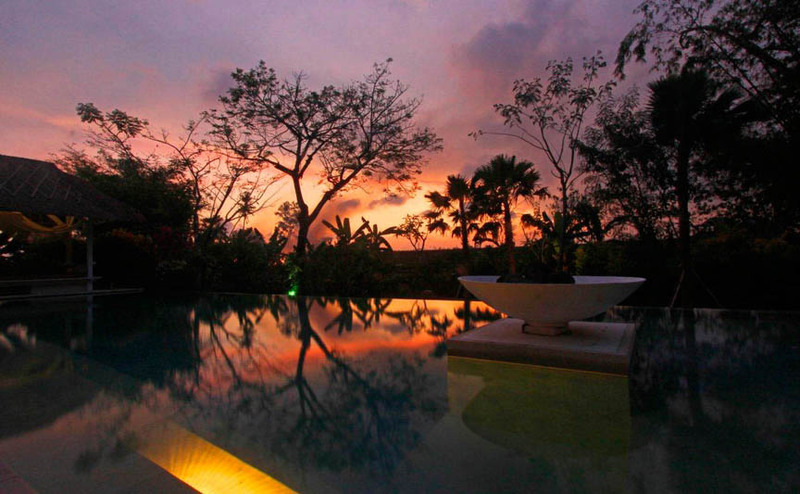 At sunset, sit back, relax and enjoy the wonderful atmosphere in your villa in Bali. 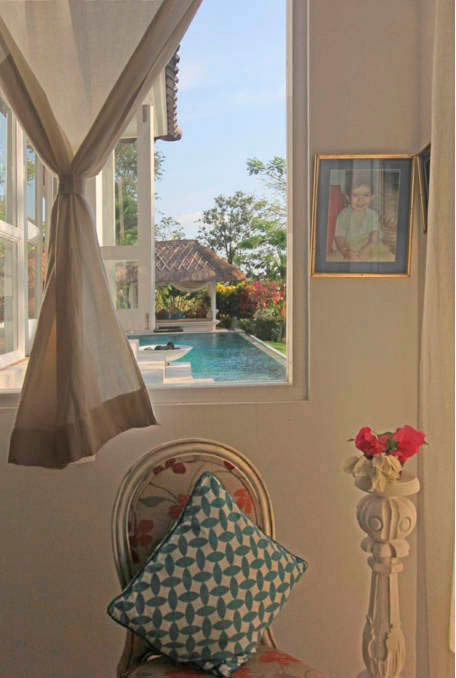 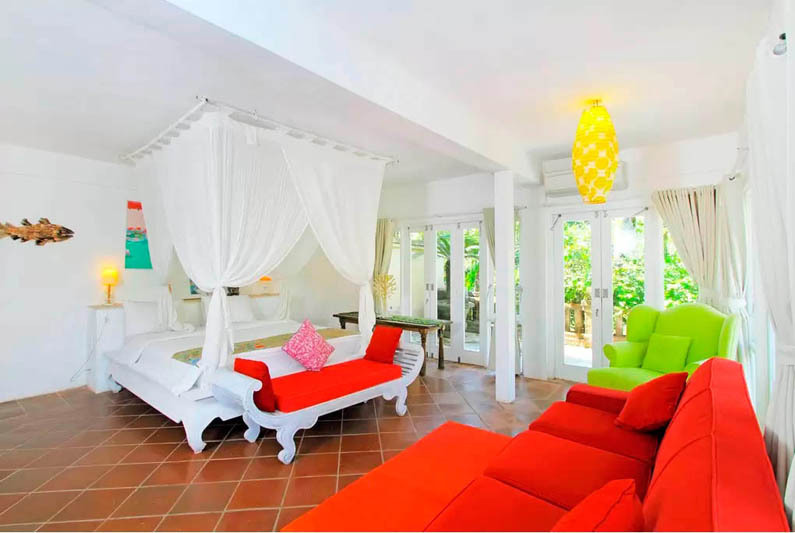 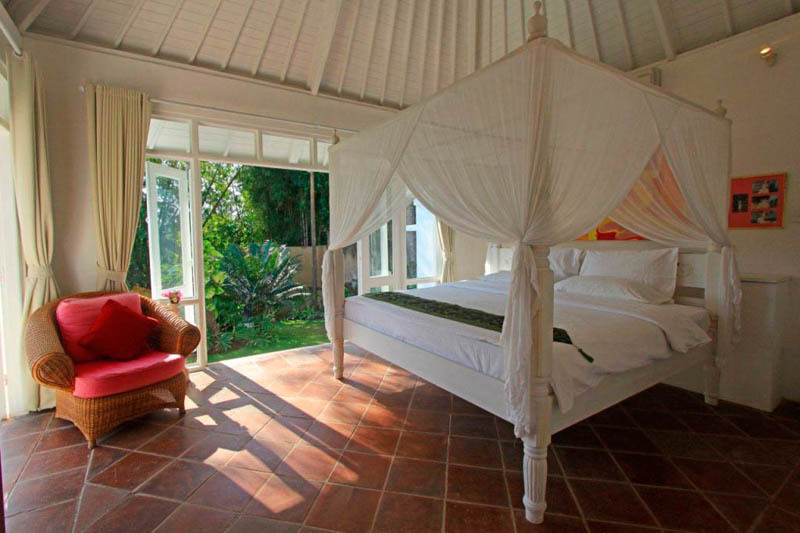 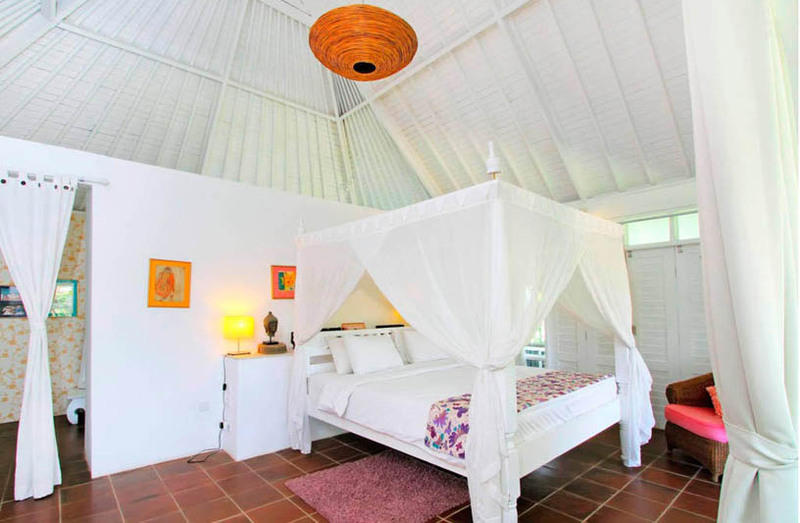 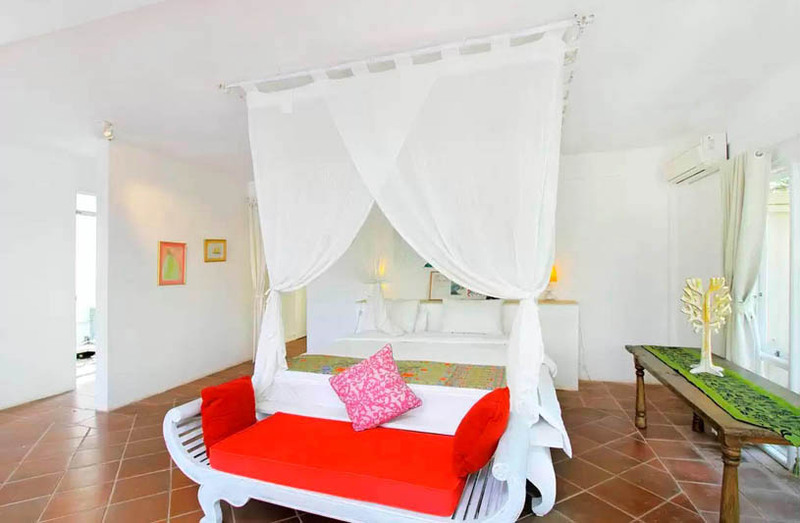 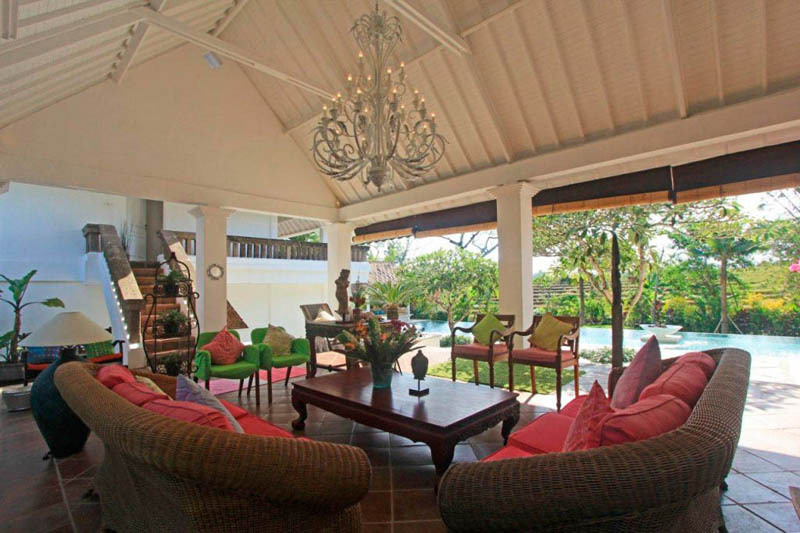 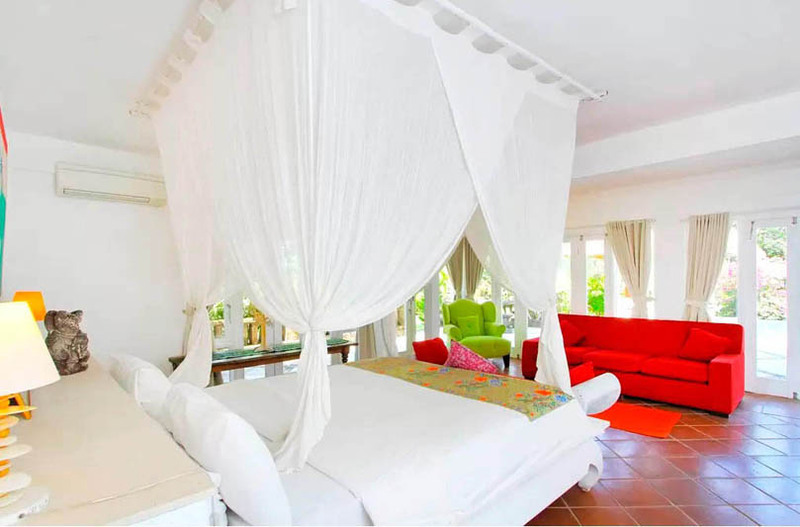 The villa staff will ensure your comfort while being discreet, because they have their own housing near the villa.